Your iPhone or iPad getting slow because of malware and unwanted files? Don’t worry there are some free iPhone cleaners you can use to clean up your iPhone. Below are 5 best iOS 11/12 cleaners. Some of the iPhone cleaners are available for Windows or MAC only. But there are few which are available for both Windows and MAC as well. iMyFone Umate Free is one of the best iPhone iOS 11/12 cleaners available in the market right now. It got lots of cool features i.e. removing junk files like incomplete downloads/ useless remaining files/empty folders, clearing up App caches, deleting temporary files, backing up your files before deletion etc. You can download iMyFone Umate for free and start cleaning up your iPhone or iPad. iFreeUp is a free software to clean up your iPhone, a truly iPhone cleaner free. iFreeUp has a nice clean user interface that is very easy and quick to use. Just free download iFreeUp program and install it on your windows PC. Connect your iPhone with it and now you are ready to clean up your iPhone files and cache. 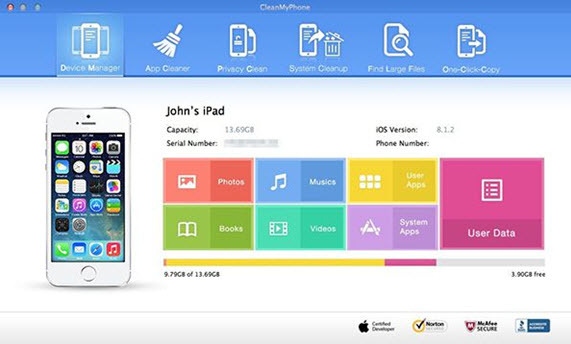 Do you have lots of apps on your iPhone, iPod or iPad and you are tired of deleting them manually, solution to your problem is “CleanMyPhone”. 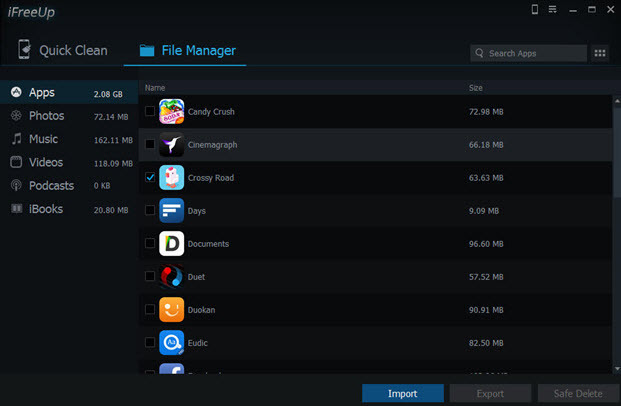 CleanMyPhone will delete all your unwanted Apps and files securely. It will also help you to clear all your cache and files like incomplete downloads. Removing those files will surely boost up your device speed and performance. Free Download CleanMyPhone for Windows or MAC. Cisdem iPhoneCleaner is nice solution to clean up spam from your iPhone. 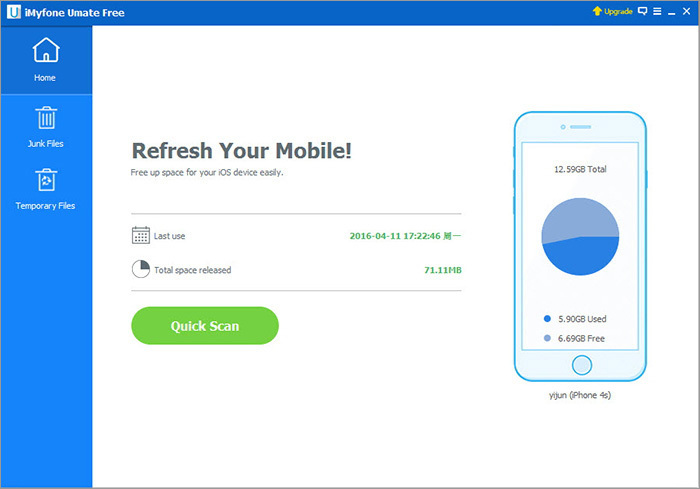 This free iPhone cleaner app will scan your iPhone or iPad for spam, remaining files of apps that are uninstalled, empty folders and unwanted files and Apps. You can also delete your photos, videos, music etc. 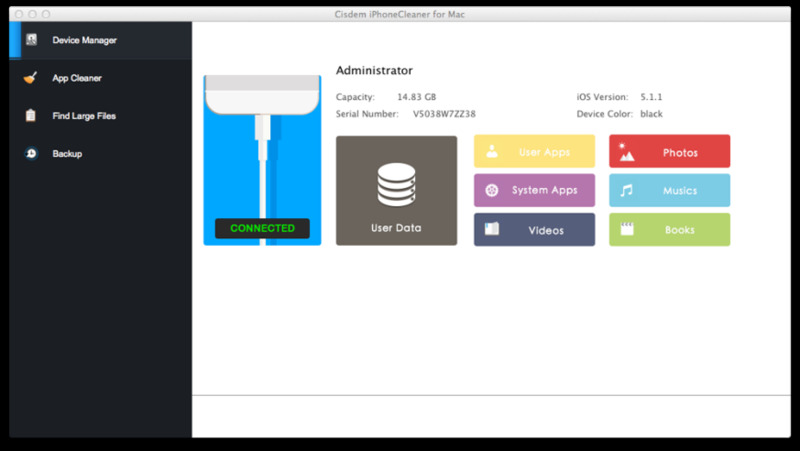 Download cisdem iPhonecleaner for Mac now for free. 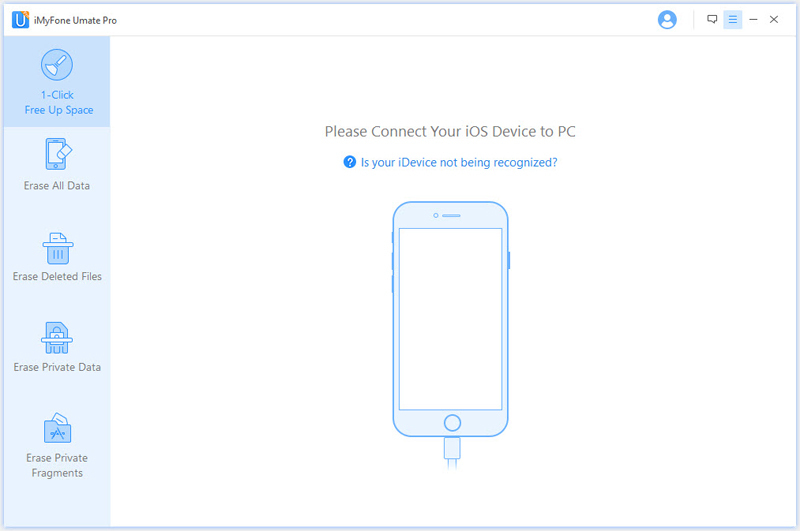 Connect your iPhone to Mac and you are ready to go. Tenorshare iPhone Care Pro is a bit advance tool that can help you clean up your iOS 11/12 device on a deeper scale. It has a lots of feature to clean up your iPhone. You can have a quick clean or run a deep clean that will remove all unwanted files and clears up your cache. 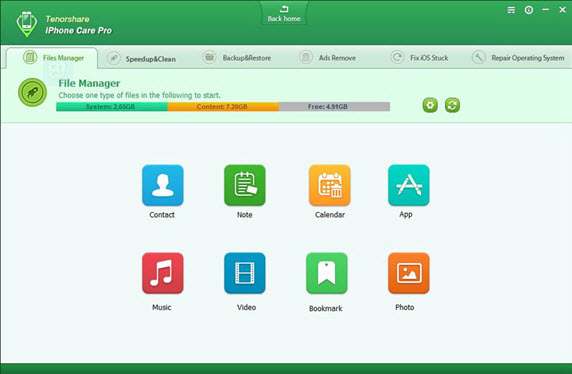 You can also manage your files such as photos and Apps with tenoshare iPhone Car Pro. Its available for both Window s and MAC. iMyFone Umate Pro or iMyFone Umate Pro for Mac with lots of cool features, not only clear up iPhone but also protect your privacy! Clear Junk Files - delete all those 30+ junk files, including app caches/cookies/crash logs/incomplete downloads/empty folders etc. Clear Temporary Files - help you clear all cache memories like downloaded temp files, user storage files and corrupted files etc. Compress Photos - compress iPhone photos to reclaim 75% of your photo space without loosing quality. Mass Delete Photos - it will list all your photos, so and you can preview them, then select all or some of them to delete. Delete Large Files - find all those huge video files over 5MB, you can preview and delete them selectively. Auto Backup - back up all original photos and videos on PC before deletion and compression. Remove Unnecessary Apps - it will list all your Apps installed, you just need to select Apps you want to delete. Permanently Erase Data - erase all your sensitive personal files to avoid privacy leak, all erased data cannot be recovered by data recovery software. Permanently Deleted Files - find out all previously deleted files which still exist on your iPhone, then erase them for privacy protection. In order to use iMyFone Umate iOS 11/12 Cleaner, please download and install iMyFone Umate iPhone cleaner on your PC or MAC. Now connect your iPhone or iPad with your PC or MAC via Cable. When your iPhone is connected it will appear on your iMyFone Umate windows. 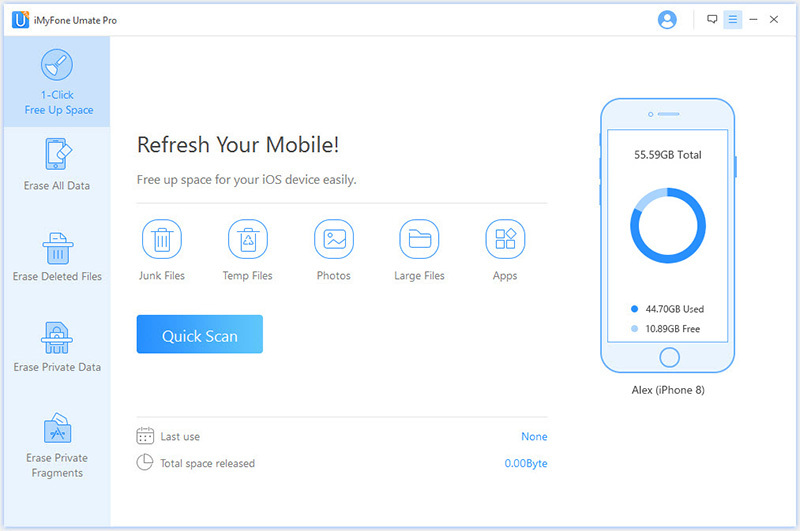 Now click scan button to run a scan of your iPhone for all unwanted junk files. When Scanning of your iPhone is done. iMyFone Umate will give you few option to clean up your iPhone. You can select different types of files when you want to remove from your iphone. 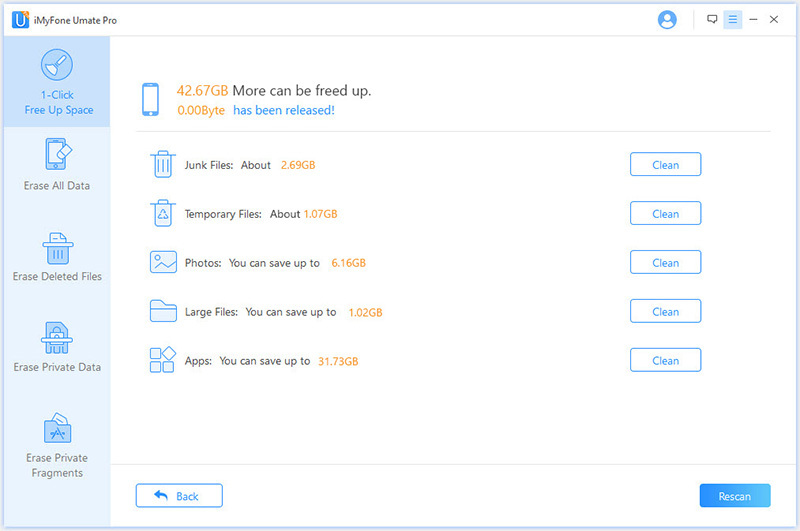 For example you can select crash logs, photo caches, temporary download files, user storage files, App cache files, App Cookies files, App temporary files. You can select all of them and then click Clean button.